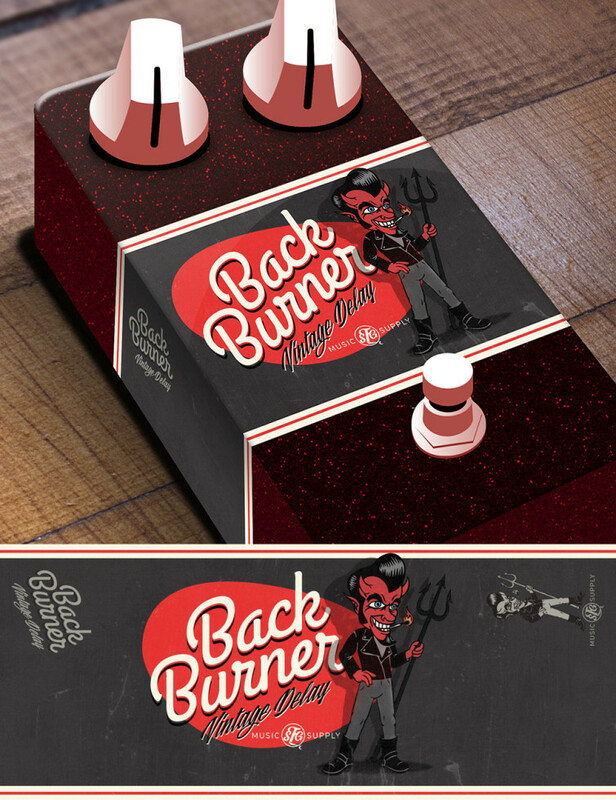 SFG Music Supply Co. approached us to develop graphics for a series of pedals they were producing. 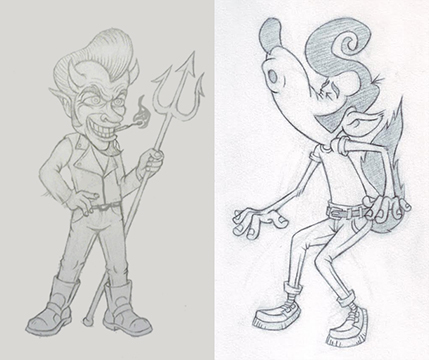 They wanted to market primarily to the Rockabilly / Psycho-billy scene so we came up with the idea to use traditional monsters with a 50’s flare and a cereal box sensibility. 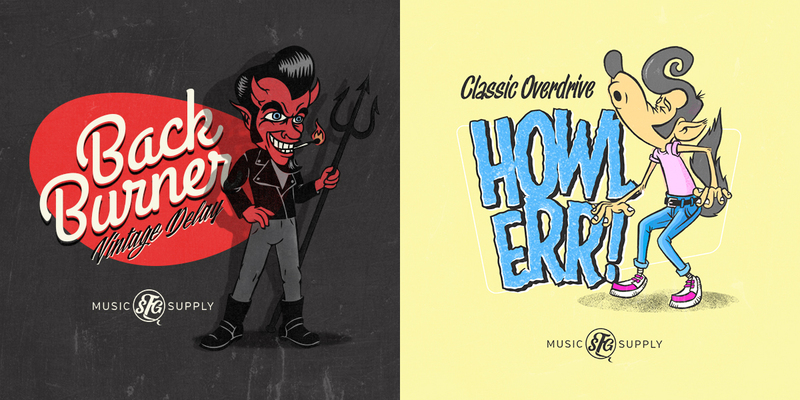 We partnered with our good friend C:Mo to help bring the illustrations to life. 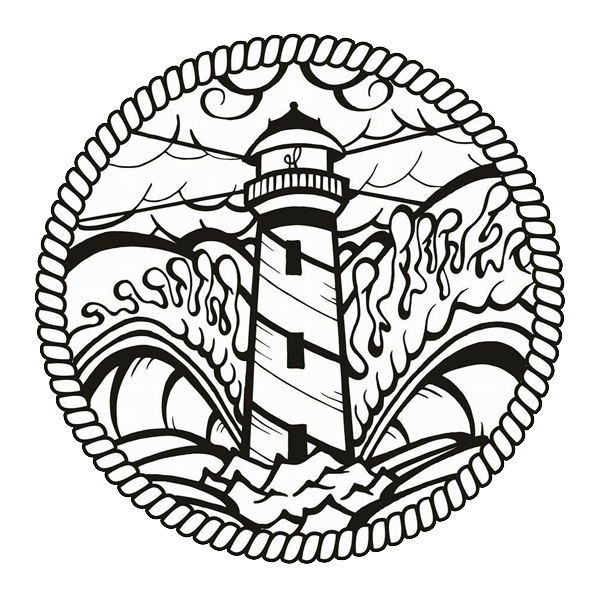 We gave him a rough layout and sketch of the label and what we wanted from the monster and he put together the illustrations and refined them as we fit them into the design. 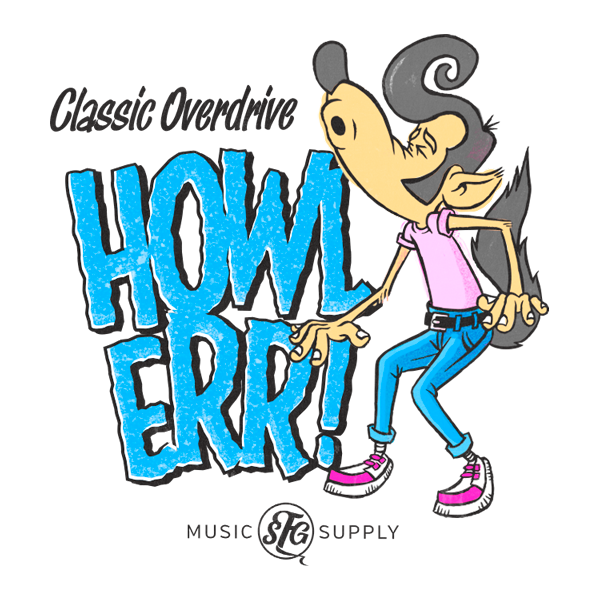 We then colored the final pieces digitally to fit the designs. 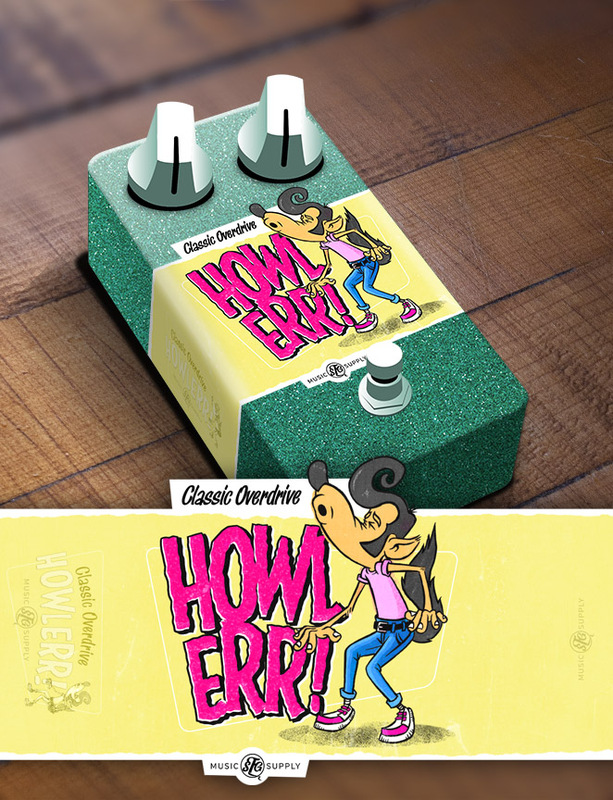 The SFG Classic OVerdrive Howlerr! out in the real world.